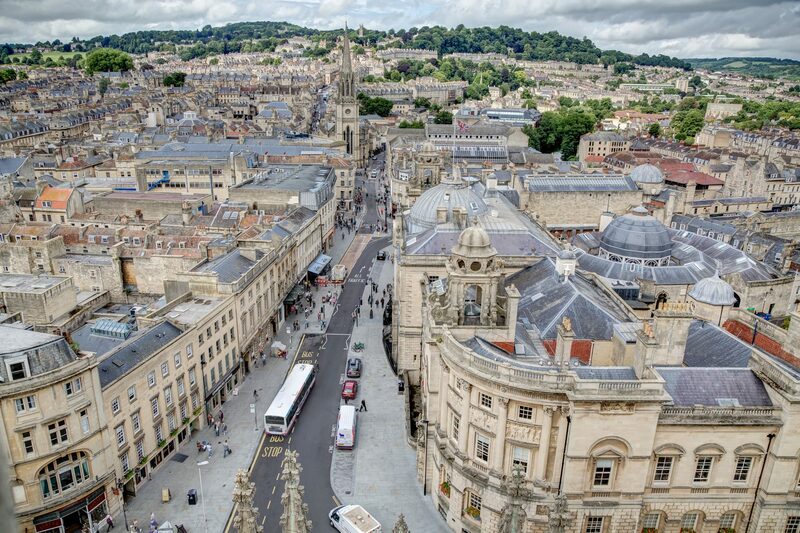 An aerial view of the city of Bath. Photo: Nigel Jarvis / Shutterstock.com. Plans to bring a light rail system to the historic city of Bath, UK, have taken a step closer after it received backing from a preliminary study. The study was produced by consultants Atkins and followed suggestions from the public to look at the potential for a new tram system, according to Bath and North East Somerset council. Council leader Tim Warren has stressed that it is only a preliminary study. The study has also identified four key corridors where more detailed analysis would be required – including costings and impacts on other traffic movements – before a decision can be made on whether or not a light rail system is feasible. These are: the A367 Odd Down; the A4/A36 Newbridge; Lansdown and the A4 from the Lambridge area. The council added that there would be a need to be detailed work around operating costs, passenger forecasting, construction costs and the wider economic benefits of a light rail system. The problem with any project like this in Britain is the whole rail planning industry, consultancies, construction firms, etc. which leads to over engineering on a massive scale, and overkill on feasibility studies which cost millions in themselves. None of us want money to be wasted; however just look at recent new local stations on the rail network. Hundreds of thousands even millions in feasibility studies, then 6 or 7 million pounds at least for a simple 2 platform station with a bus shelter. As for feasibility it’s been shown that a population of a catchment area is almost certain to produce very much the same passenger usage ( proportionally) – transport academics in the universities cannot see why this research cannot be used to build a station without the hundreds of thousands even millions spent on feasibility studies. In many parts of the world ever Tramway is required they just go and build it having got rudimentary planning permission! There isn’t the years of studies, hoards of consultants, etc. I know Romania is not the best example but I remember waking up one morning to see them laying a new Tramway in Craiova, they had a machine which seem to be progressing down the street like a Tarmac laying machine followed by another one that laid the track. They did what seemed miles of new tramway in about a week! As it happens they’ve had recently to replace it because it was a bit dodgy, but there must be a happy medium.